Merida Casa is a US-based firm seeking to assist foreigners who wish to buy or rent property in Mérida, Yucatán, México. 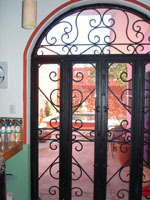 Merida Casa specializes in Mexican real estate transactions. Our mission is to help foreigners find, buy, renovate, rent, and manage real estate in Mérida and the Yucatan.